The Lionhead rabbit, a relatively new breed, started to appear in the United States in the late 1990s, but it wasn’t until 2014 when the American Rabbit Breeders Association (ARBA) approved the rabbit as an officially recognized breed. First appearing in Belgium by crossing two dwarf breeds, argued to be the Swiss Fox and Netherland Dwarf, a gene mutation, referred to as a mane gene, appeared at the time, causing the breed to produce a wool-like mane around its head, giving it the name it has today — the Lionhead. How much does a Lionhead rabbit cost? 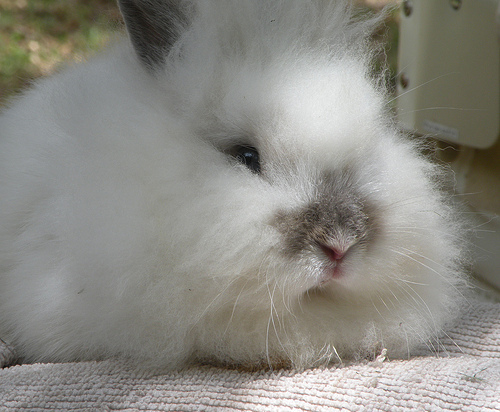 The costs of a Lionhead rabbit, as with most rabbit adoptions, will depend on the age of the rabbit, the quality, colors and who you’re adopting from. With a few factors to keep in mind, we found the average costs from a private breeder from the classified websites we glanced at online seemed to cost anywhere from $15 to $105. Lionheadrabbit.com, for example, noted the average price could be in the $20 to $125 range and would depend on the quality of the rabbit, where you buy it from and whether or not it was pedigreed. On Hoobly, an online marketplace, they had six pages worth of classified ads at the time of this publishing, with prices ranging anywhere from as little as $10 to more than $70. RunnyBunny.net states the average purchase price can be anywhere from $20 to $125. Experts recommend a half cup of high-quality pellets, plus as much fresh leafy greens as you can throughout the day. Some owners also offer their Lionhead a small portion of rabbit-safe vegetable and fruits throughout the week to mix up the rabbit’s diet. All in all, be prepared to spend about $20 to $30 per bag of pellets, depending on which brand you buy and a pinch more if you were to add vegetables and leafy greens. As a one-time purchase, a rabbit cage, preferably as big as possible, can start at $55 and increase from there depending on the size, the materials the cage is made from and where it’s purchased. Inside this cage should include some straw or a soft blanket on the bottom as well as access to fresh water at all times. Do keep in mind, however, that they cannot be confined to their cage 24/7 as they will naturally need time to explore the outdoors or open areas. Due to the rabbit’s woolly mane, it’s highly advisable that you brush them at least two to three times a week to prevent the fur from matting, which can lead to pain and even serious skin infections. While it’s only a one-time purchase for most, a good rabbit brush shouldn’t cost more than $15. Other accessories to consider include nail clippers, a mild antiseptic ear cleaning solution and litter box if you plan on potty training your rabbit. In total, the costs of all of these supplies shouldn’t be more than $50. Rabbits, like any other household pets, will need vaccinations, particularly VHD and Myxomatosis, as well as the routine annual checkups and even dental care. A vet visit can start at $55 and increase from there depending on the reason for the visit, while vaccinations can cost about $20 to $40. If you do not plan on breeding your rabbit, then you need to consider spaying or neutering your rabbit, a process which can cost anywhere from $50 to $150. What’s included in the adoption fee? From most of the classified ads we glanced at, breeders will trim the rabbit’s nails and include a small sample size of food to help you transition and pedigree paperwork, if necessary. In the case of having your rabbit shipped, a shipping crate may be included as well. All breeders do vary with their inclusions, so be sure to ask them exactly what you’re getting with the adoption fee before signing a contract. The biggest difference between a Lionhead and other rabbit breeds relies on the mane, about two inches long, as seen in the picture above, similar to that of a lion, hence, the name. These rabbits are compact and round in size and are deemed a fancy breed, well known for their mellow temperament, making them a nice choice for those with young children. As for the size, the Lionhead weighs an average of three pounds. In the United States, the Lionhead, as per ARBA standards, is recognized as the following colors/varieties: Chocolate and Seal, Ruby Eyed White and Tortoise, which is a combination of black, blue, chocolate and lilac. Provided the rabbit is living a healthy lifestyle, the average Lionhead can live up to 10 years in a stress-free environment.